Introductory remarks: Under the regime of the Swiss Civil Procedure Code (CPC, Art. 158), a court shall take evidence at any time if the law grants the right to do so; or the requesting party shows credibly that the evidence is at risk or that it has a legitimate interest. Art. 77 of the Federal Act on Invention Patents is a use case of Art. 158 of the new Swiss Civil Procedure Code (CPC). It is not mandatory anymore that a threat of irreparable damage is established, nor that the evidence as such is at risk; a legitimate interest suffices. The preparatory materials explicitly hold that clarification of the chances of a suit may well constitute such legitimate interest. 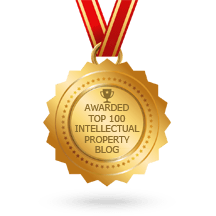 The defendant got a generic medicament entered into the list of pharmaceutical specialities well before some patent protection of the plaintiff had lapsed. However, the generic medicament was not yet available on the market and the plaintiff thus requested interim measures for precautionary taking of evidence. 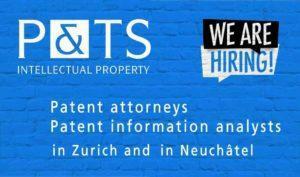 The plaintiff alleged three European patents being infringed. 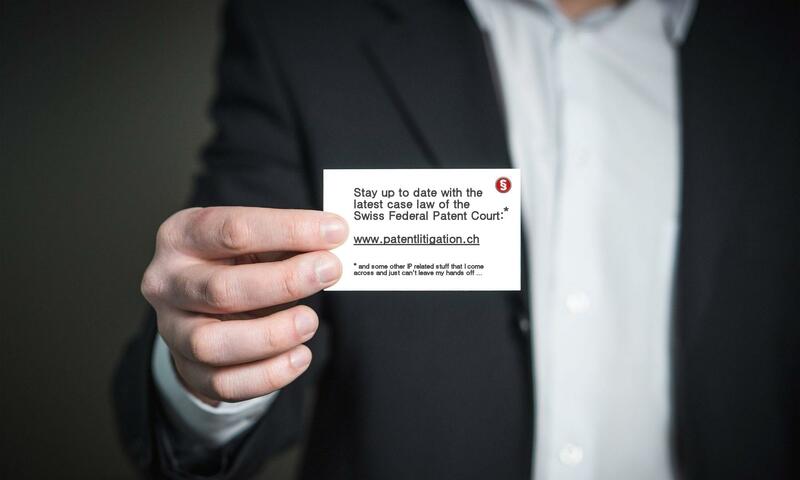 The first patent had been revoked in opposition proceedings before the EPO; the opponent with the EPO was the defendant of the present case. The patentee / plaintiff argued that his appeal against the decision of the Opposition Division of the EPO had suspensive effect, and thus the patent was fully enforceable. However, the plaintiff did not provide any prima facie evidence or arguments why the decision under appeal with the EPO was false. The FPC held that – despite the suspensive effect of an appeal – a patent which has been revoked in opposition proceedings cannot serve as a basis for the requested interim measures without further substantiation of the validity of the patent. In diesem Zusammenhang ist in Erinnerung zu rufen, dass Beweis nur abgenommen wird über streitige Tatsachen (sprich, Tatsachen, welche die eine Seite behauptet und die andere bestreitet; Art. 150 Abs. 1 ZPO). Damit ist auch der Rahmen für die vorsorgliche Beweisführung abgesteckt; “wer” ist kein Beweisthema. Wenn die [Klägerin] dann aber fortfährt, sie gehe ‘davon aus, dass die betreffenden Tabletten sämtliche oben aufgezeigten Merkmale von Anspruch 1 des Streitpatents 3 aufweisen’, so lässt das die gebührende Ernsthaftigkeit vermissen. Nachdem die Klägerin über die Erfüllung des sechs kennzeichnenden Merkmale durch die Tabletten der Beklagten kein einziges Wort verliert, ist kein Sachverhalt glaubhaft gemacht, ja nicht einmal behauptet, der in den Schutzbereich fiele und damit einen Unterlassungsanspruch begründen könnte. Es entsteht vielmehr der Eindruck, die Klägerin wisse darüber schlicht gar nichts, und damit erwiese sich das Ansinnen der Klägerin als verpönte Fishing Expedition. In the meantime, this decision has become final. In the meantime, the decision 4A_532/2011 referenced in this post has been published: BGE 138 III 76, “Schlammzuführung”.